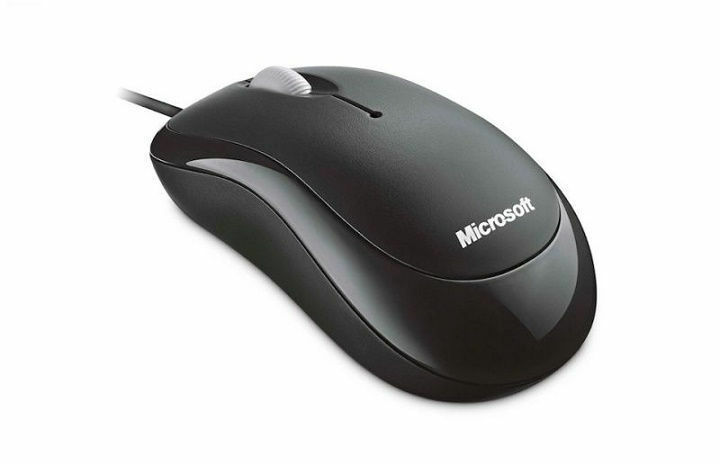 Computer mouse is a key peripheral, and almost all users use it for input. Your mouse allows you to quickly perform any action on your PC, but there are users that want to increase their mouse sensitivity even further. 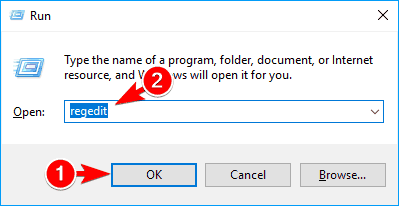 This is relatively simple, and today we’re going to show you how to do that on Windows 10. How to increase mouse sensitivity in Windows 10? The best way to change mouse sensitivity is to use the DPI button on your mouse. Usually gaming mice have a DPI button on them that allows you to switch to a different sensitivity setting. This is the best way to change your sensitivity because it allows you to change it with a single button. We have to mention that your DPI settings are temporary, and it most cases they will revert to the default value once you turn off your PC. On the other hand, mice with adjustable DPI settings are relatively affordable, so if you want a mouse that offers different sensitivity levels, you might want to invest in a new mouse. If you want to increase your mouse sensitivity and precision, you might want to consider using a different mouse pad. There are many great mouse pads with different textures that allow you to enhance your sensitivity. Many of these pads are relatively affordable, so you might want to consider purchasing one of them for your PC. Once Control Panel opens, select Mouse from the list of options. Mouse Properties window will now appear. 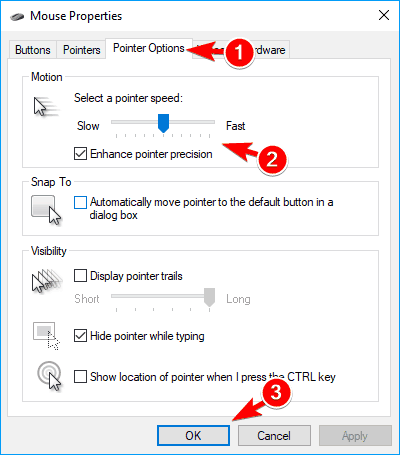 Go to Pointer Options tab and adjust mouse pointer speed by moving the slider. You might want to try turning on Enhance pointer precision option as well. After adjusting your mouse speed, click on OK and Apply to save changes. This is the simplest way to change your mouse sensitivity, so be sure to try it out. Gaming mice tend to come with a dedicated software that allows you to configure your mouse. Thanks to this software you can adjust the mouse lighting, macros and other settings. In addition, you can also adjust the sensitivity of your mouse so be sure to try that. Keep in mind that not all mice come with a dedicated software, so this solution won’t work for every computer mouse. Optional: Modifying the registry can cause certain problems with your PC, therefore it’s highly advised to create a backup. To do that, simply click on File > Export. 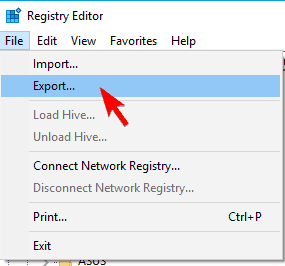 Select All in Export range section and enter the desired file name. Choose a safe location and click on Save button. In case anything goes wrong after modifying the registry, you should be able to restore it by running this file. 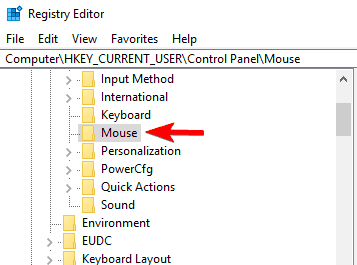 Navigate to HKEY_CURRENT_USERControl PanelMouse key in the left pane. In the right pane, double click MouseSpeed and set its Value data to 2. Now change the value data for MouseThreshold1 and MouseThreshold2 to 0. After doing that, your mouse sensitivity will be set to maximum. If your mouse is too sensitive, you might want to adjust MouseThreshold1 and MouseThreshold2 values. Keep in mind that you need to keepMouseThreshold2 greater or equal to MouseThreshold1 at all times. This solution is for advanced users, so if you’re not familiar with Registry Editor, or if you don’t feel comfortable editing your registry, you might want to use a different solution. 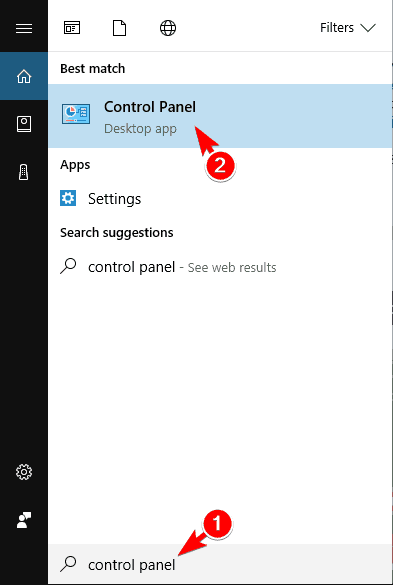 Changing mouse sensitivity in Windows is rather simple, but the best way to do that is to use a mouse that allows you to adjust the DPI settings manually. If you don’t want to purchase a new mouse, feel free to try any other solution from this article.